Address: H8380 Hévíz, Rákóczi street 2. 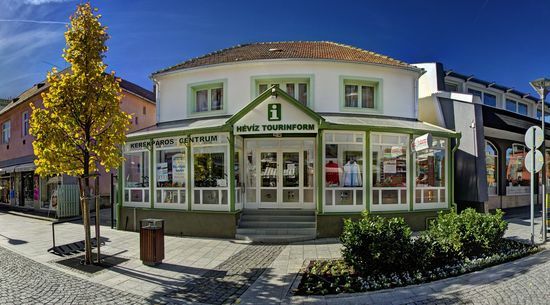 If you have any queries please do not hesitate to contact us via phone, fax, mail, e-mail before planning your trip or in person when you are already in Hévíz! If you are looking for a great program, restaurant or accommodation, we are confident that our Tourinform Office can help you. We offer several brochures, maps and event calendars to our visitors. The Office also offers internet facilities and quality bicycle rental services besides providing up-to-date tourist information. Looking forward to seeing you in Hévíz!